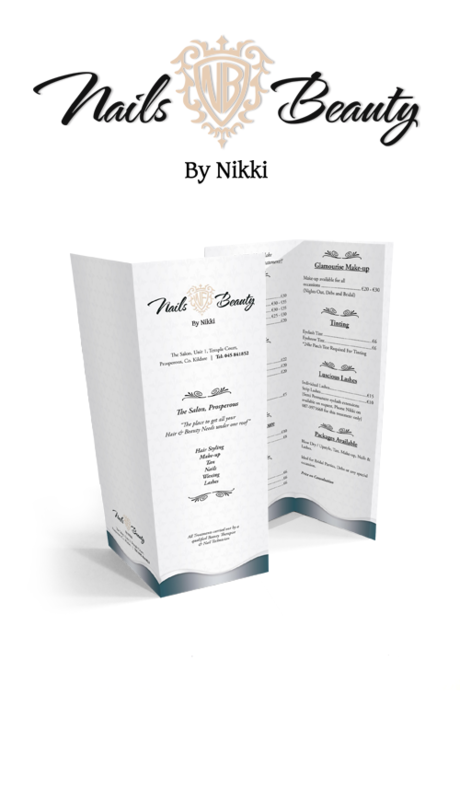 Project Brief: Nails and Beauty by Nikki commissioned Online Design to create a brand identity and brochure. Nikki from Nails and Beauty is an incredibly talented aesthetic doctor. Having run her business alongside her full time job for the last year, she made the brave decision to focus on her passion – giving patients’ confidence and self-worth a huge boost through cosmetic treatments. Nails and Beauty by Nikki approached Online Design to create exactly the right perception of her business from day one. Project Outcome: The results are a feminine, polished and premium brand identity. Since working with Online Design, Nails and Beauty by Nikki have expanded their clinics and enjoyed a very successful launch.